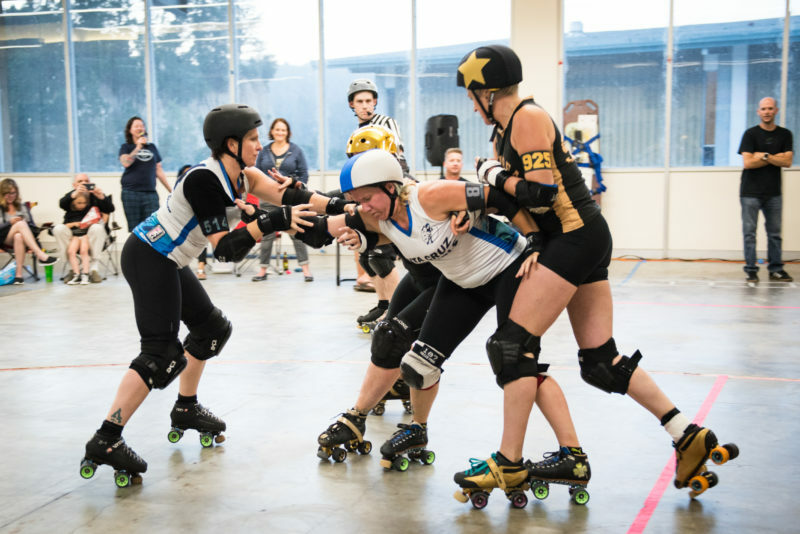 Bay Area Derby is heading to Seattle for the 2017 International Women’s Flat Track Derby Association Playoffs September 1 – 3! 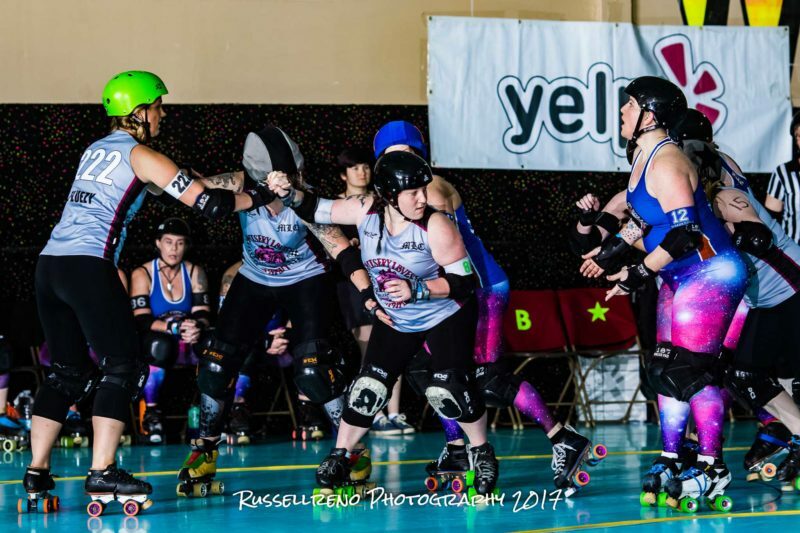 The Bay Area All Stars finished their 2017 WFDA regular season 4-0 and are ranked number 10 in the world, earning them the fourth seed in this weekend’s WFTDA playoff tournament. 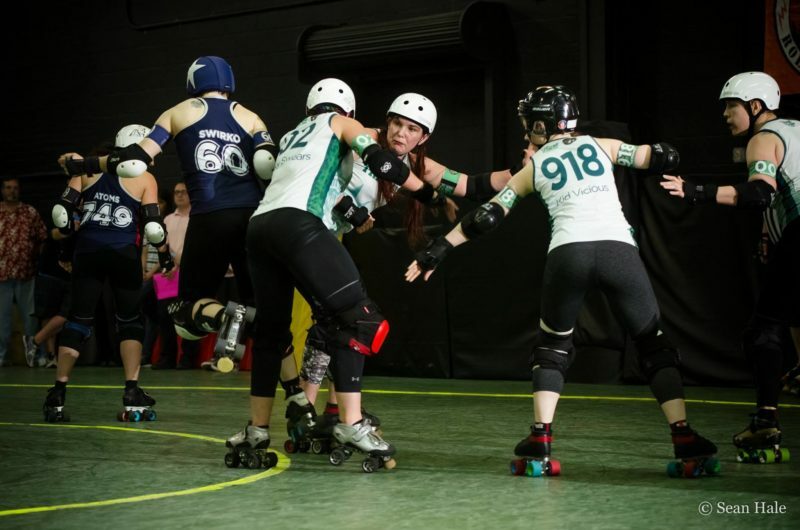 Their first game will be against the winner of Game 3: either Charlottesville Derby Dames All Stars (Seed 12) or Montréal Roller Derby New Skids on the Block (Seed 5) on Saturday, September 2 at 10 am. Bay Area is looking forward to playing either opponent but a rematch against Montréal would be epic. 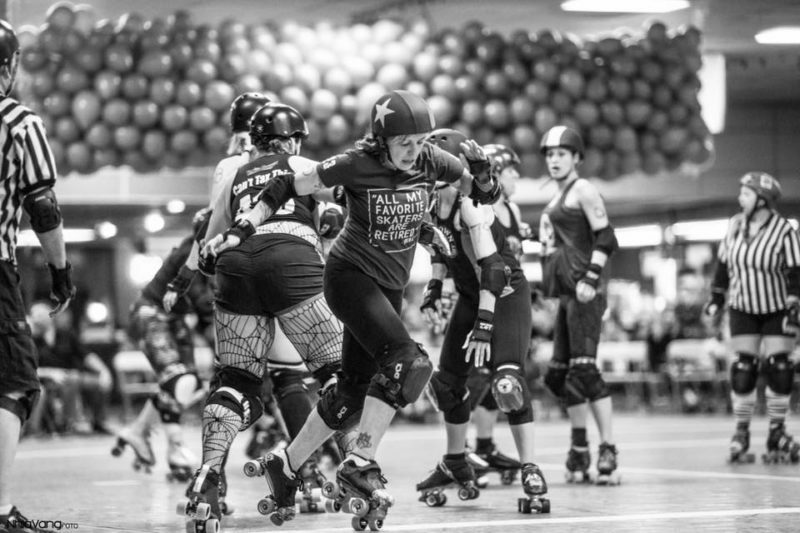 Last year, the Skids defeated the BAD All Stars in the 3rd place game at playoffs in Montréal by a mere 12 points. Given the opportunity, the All Stars are keen on flipping the results against the Skids this year to take the win and earn a spot at Champs. 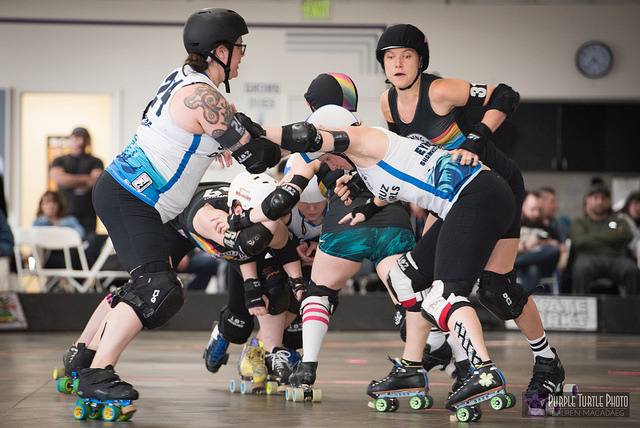 If you can’t make it to Seattle to cheer in person, buy a weekend pass from WFTDA.tv for only $16.99 to watch Bay Area play some of the highest level competitive roller derby in the world! Want to watch with BAD? 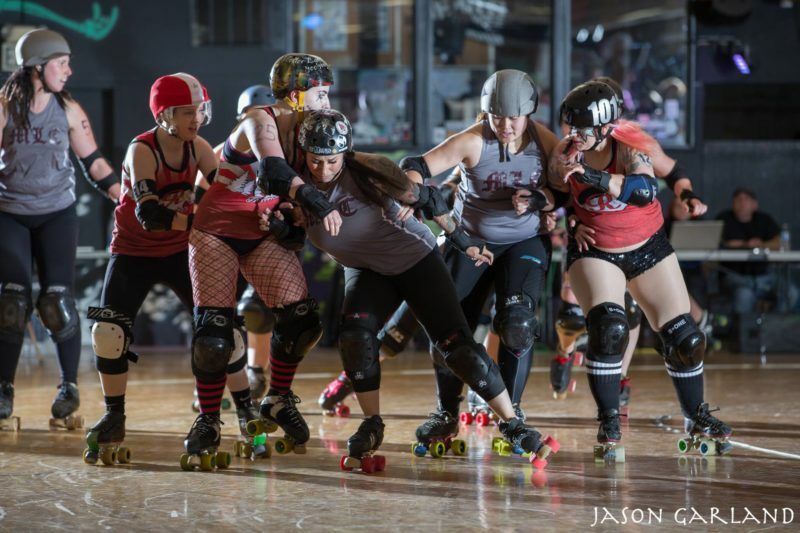 Chiquita Bonanza, skater and league member, is hosting a watch party at her shop Mischief. Check out the Facebook event for more details. Rock SOLID BAD fashion like #23 April Bloodgate. 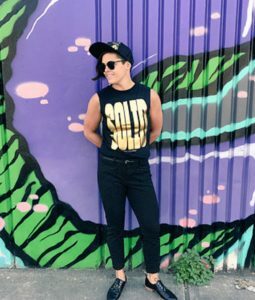 Buy this special edition SOLID GOLD shirt for a mere $25. Look slick while helping us raise funds to cover the team’s travel and expenses for playoffs. Visit Quad Republic to get yours (and one for a friend) today! The 2017 Golden Bowl Invitational will showcase the Bay Area Derby Travel Team’s newly updated All Stars roster as they enter their 12th season ranked 22 in the WFTDA. 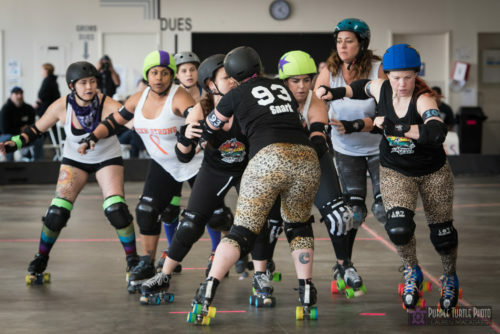 BAD’s fresh line-up, noticeably dominated by prior season veterans and rounded with recent league transfers, will utilize defense-centric packs with a “respect all, fear none” attitude. 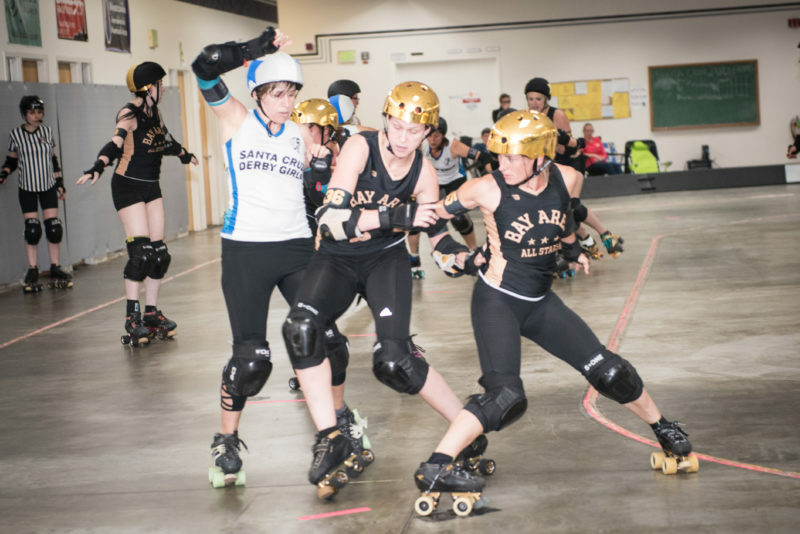 The Bay Area All Stars will wear black and white uniforms accented with gold along with their new signature gold chrome S1 helmets as they take the track in games against WFTDA charter teams from Boston, Tampa, and Vancouver throughout the weekend. Tune into BADtv for the free online broadcast June 16 – 18! 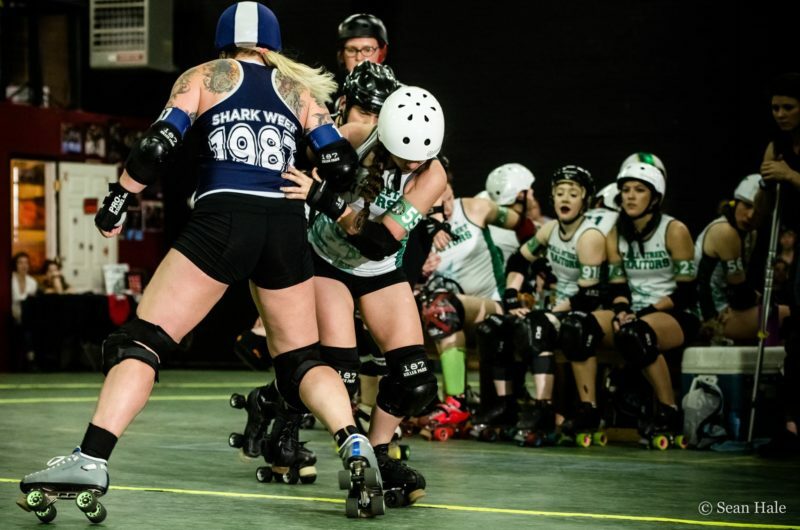 The Santa Cruz Derby Girls are sending the Boardwalk Bombshells, ranked 17 in the WFTDA, to the 2017 Golden Bowl Invitational. 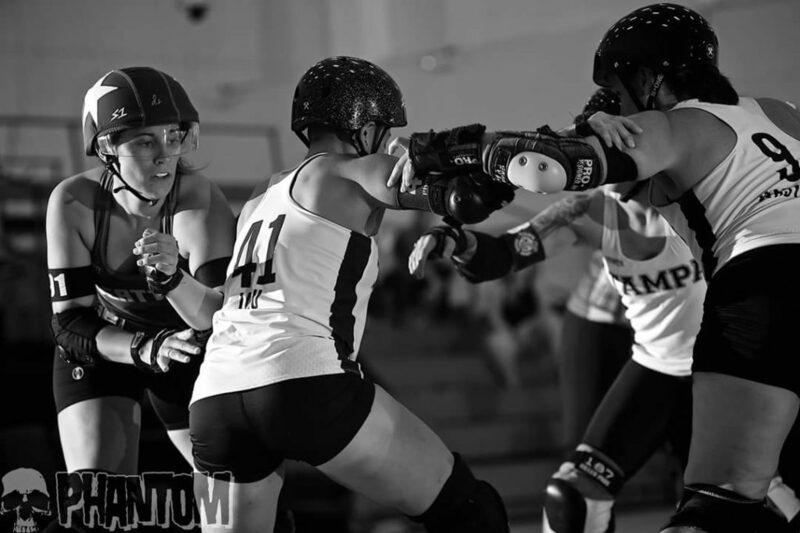 Noted by The Apex as one of Ten WFTDA Teams on the Rise for 2017 after hosting and sweeping their Boardwalk Empire tournament in early April, the Bombshells aim to extend their scoring averages against Terminal City All-Stars, Boston Massacre, and Tampa Tantrums in just a few weeks. 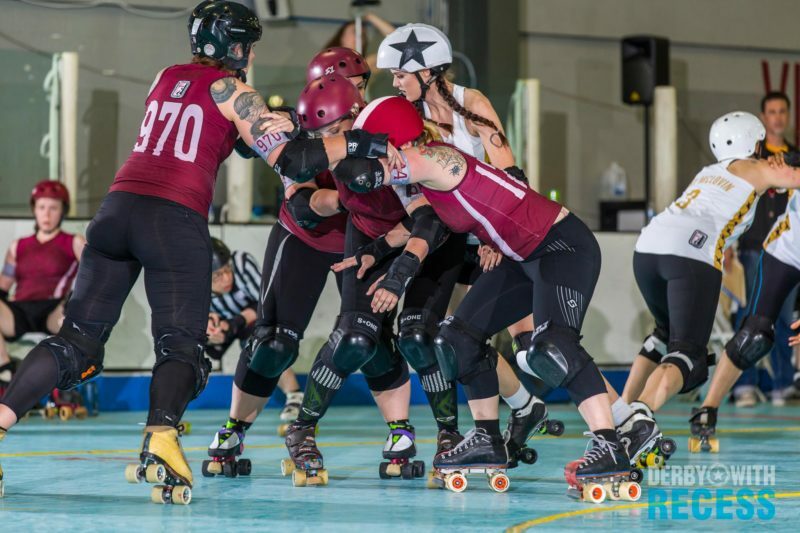 Watch on BADtv as they demonstrate the power of pre-season preparation to build a champion team Saturday June 17 and Sunday June 18 at Golden Bowl. 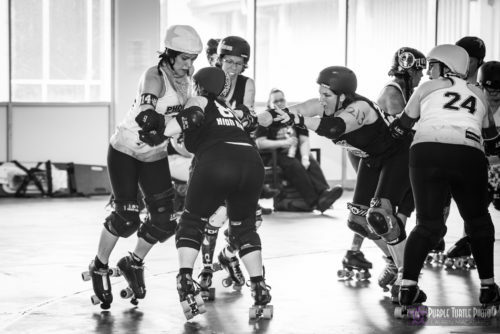 Skating out of beautiful southern British Columbia, the Terminal City Rollergirls All-Stars are Vancouver’s travel team, ranked 27 in the WFTDA. 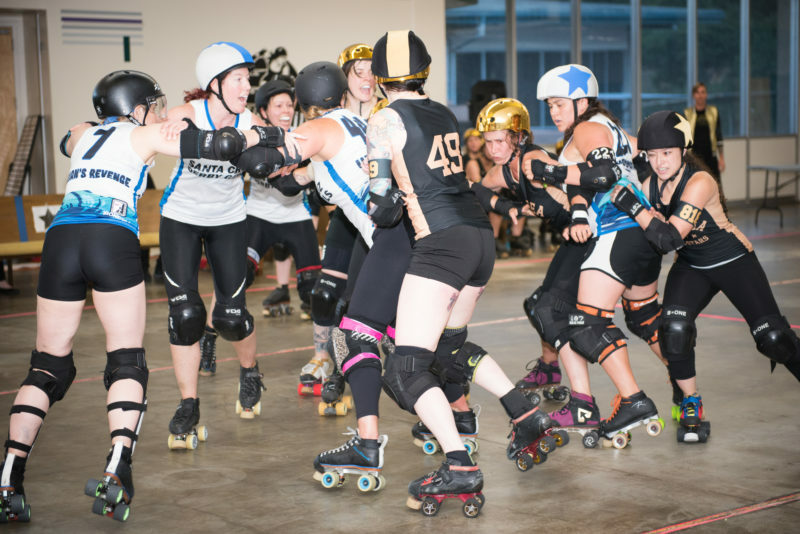 The Terminal City All-Stars are known for their generous but fierce devotion to friendship and derby. 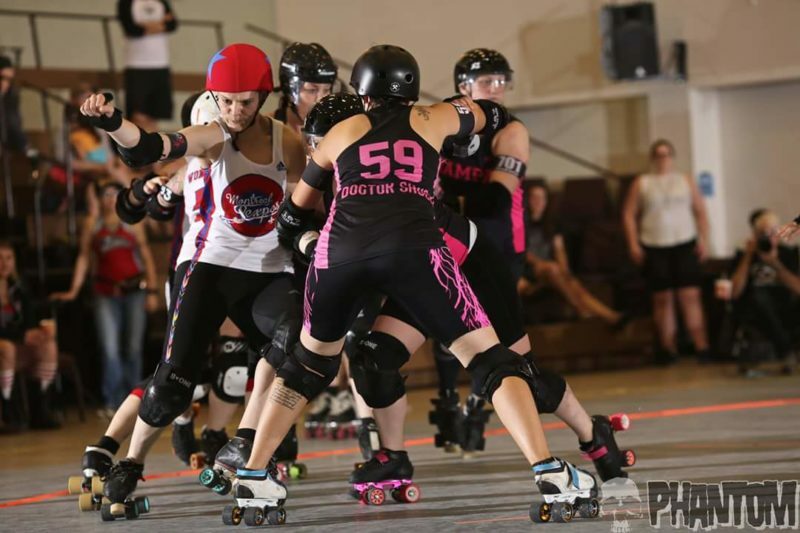 Hustle and heart exemplify the passion and ambition of Terminal City! 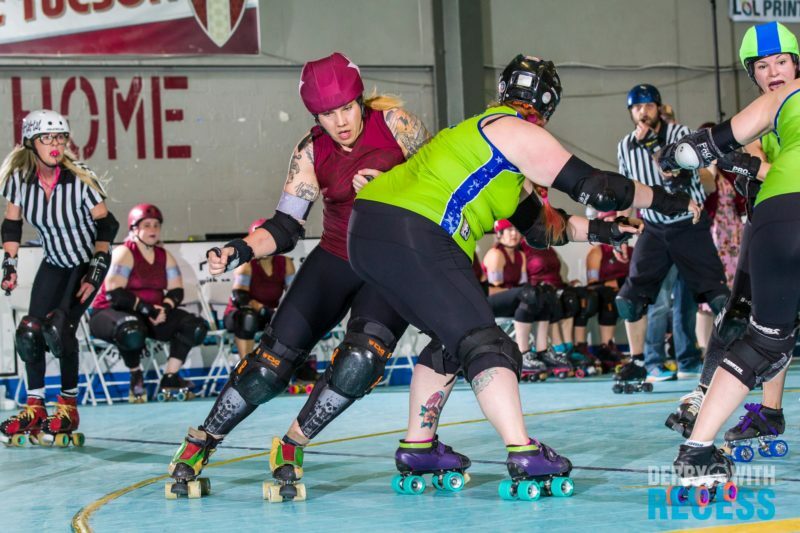 Follow their Golden Bowl adventure on BADtv as they play four games June 16 – 18 against fierce opponents from the US East and West Coasts—the Tampa Tantrums, Boston Massacre, Santa Cruz Boardwalk Bombshells, and Bay Area All Stars. 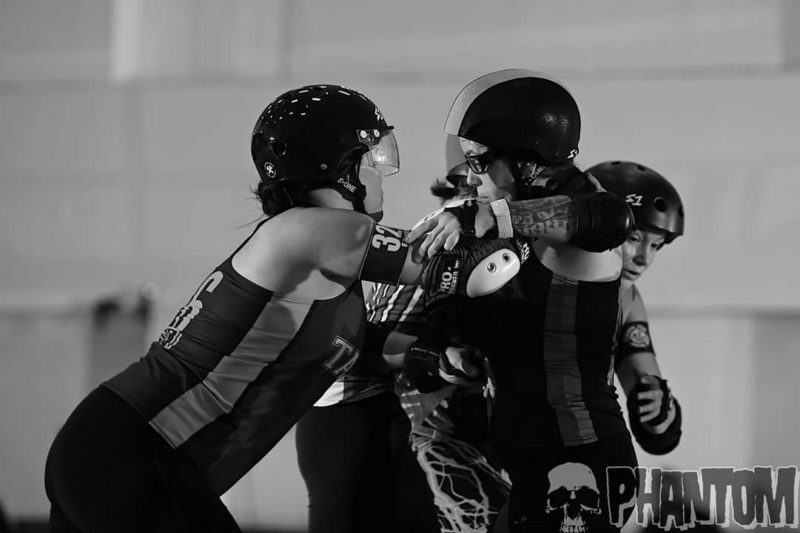 The Boston Massacre of Boston Roller Derby enter the 2017 Golden Bowl Invitational ranked 35 in the WFTDA. The Massacre’s style includes unique defensive formations and strategic play beguiling opponents and derby fans alike. Their traditional uniforms are navy blue with red accents and white with navy blue and red accents. 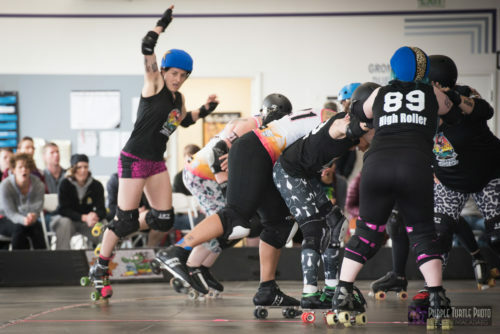 Traveling across the country, the New England team will play four games June 16 – 18 against the BAD All Stars, Terminal City All-Stars, Tampa Tantrums, and Santa Cruz Boardwalk Bombshells. All their Golden Bowl games will be broadcast on BADtv. 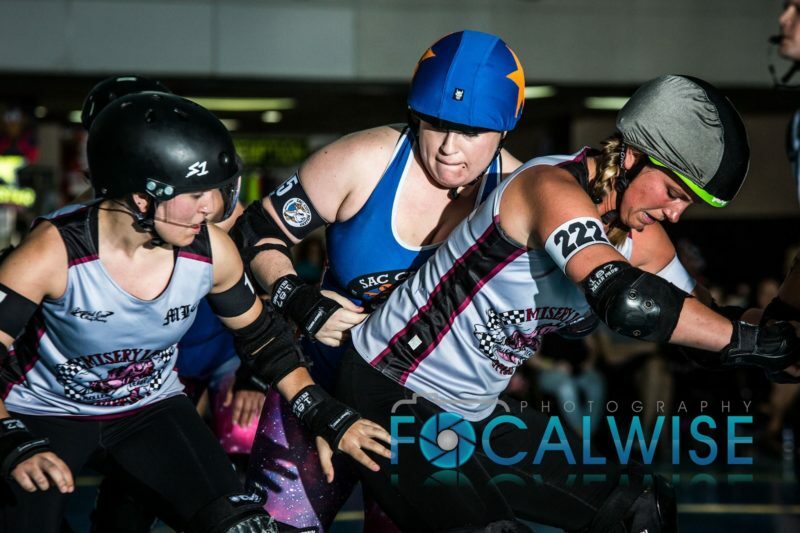 The Tantrums of Tampa Roller Derby, currently ranked 20 in the WFTDA, boast a motto which reflects the team’s style of fast, smart and fearless roller derby. They pride themselves on one spirit, one team, and one win at a time! Traveling from the Bay Area of Florida, the Tantrums will be sporting white as well as their unmistakable and flamingo pink uniforms, to compete in the 2017 Golden Bowl for a weekend of sanctioned game play. 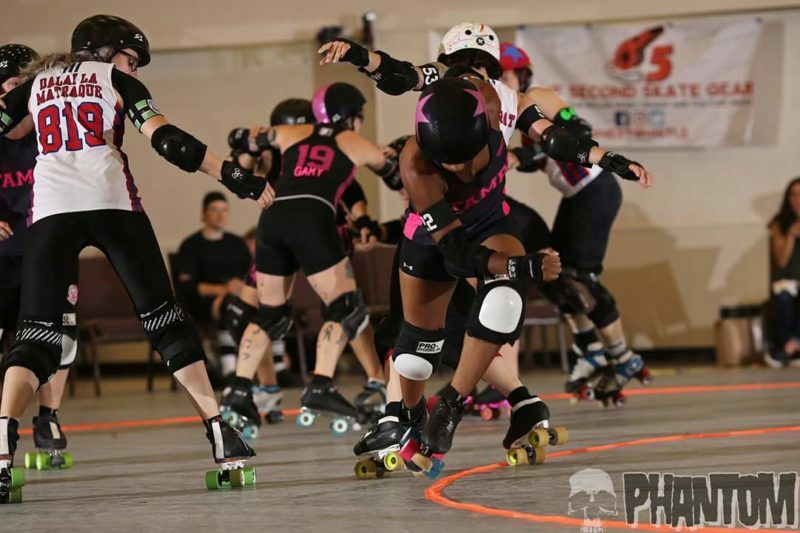 Tampa is going into the weekend 0-3 after having lost to Philly Roller Derby, Montreal Roller Derby, and Rat City Roller Girls at last month’s Tiny Tourney. Tune into BADtv June 16 – 18 to watch all four of their games at this year’s Golden Bowl. 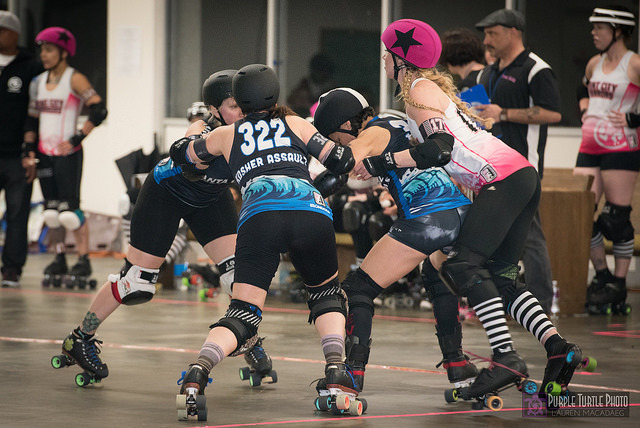 The Harbor Hellcats are Santa Cruz Derby Girls’ B team. 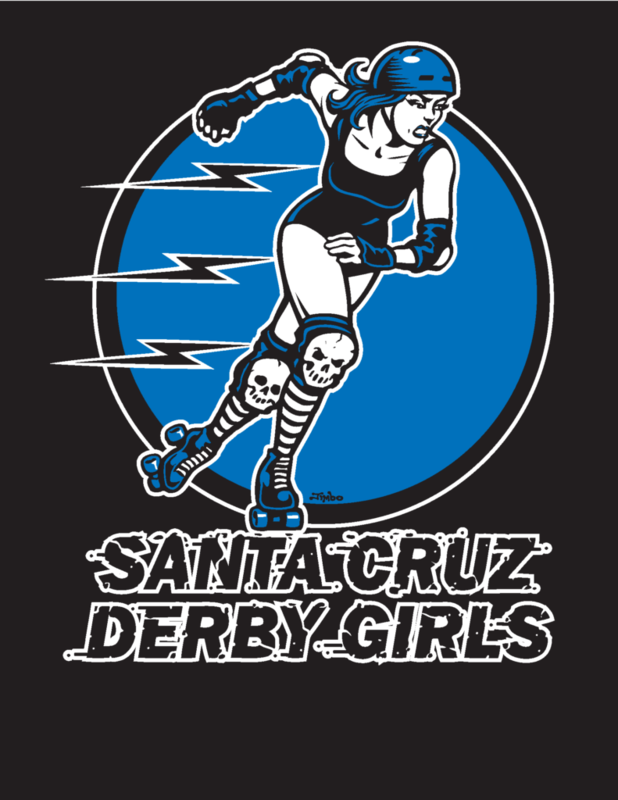 They are made up of skaters from Santa Cruz’s three home teams: Organic Panic, Redwood Rebels, and the Steamer Janes. 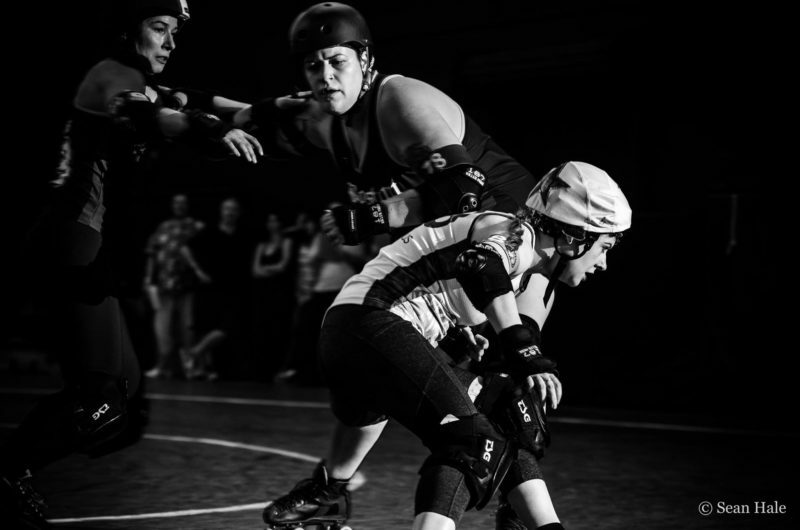 The Hellcats will be traveling up to Oakland from Santa Cruz to play the Tampa Bruise Crew at the 2017 Golden Bowl Invitational. This game will be live streamed on BADtv Saturday June 17 at 4 pm! 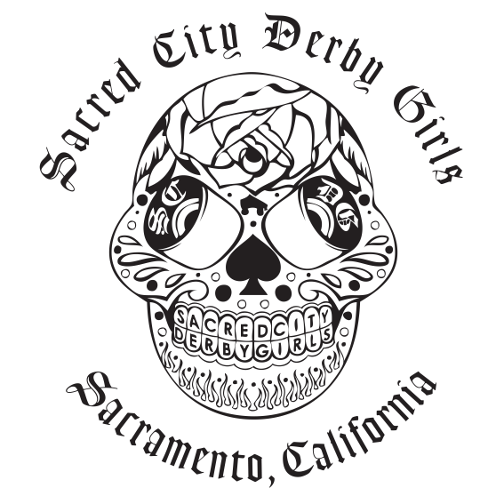 The Sacred City Derby Girls Sacrificers from Sacramento, ranked 56 in the WFTDA as of April 30, 2017, will participate in a regulation game vs Tampa Bruise Crew at the 2017 Golden Bowl Invitational on Sunday June 18 at 3 pm. Catch the action live on BADtv! 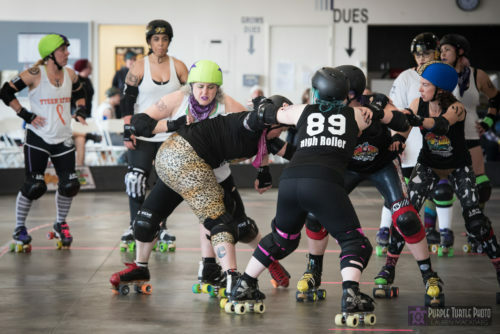 Tampa Roller Derby’s B level travel team, the Tampa Bruise Crew, is traveling from the Florida Bay Area to the California Bay Area to take the track for three regulation games. 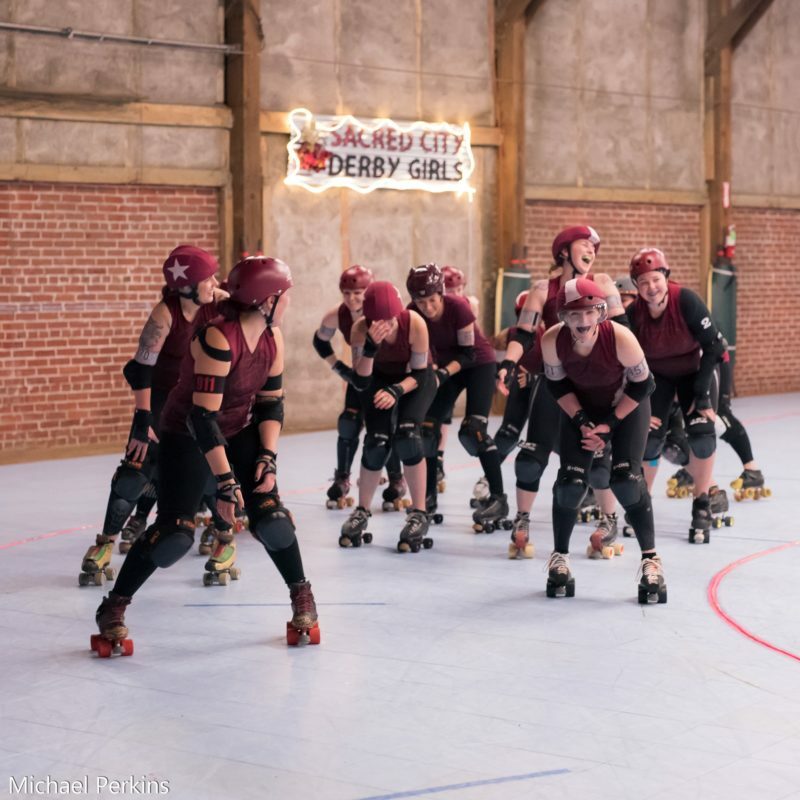 They will play Sacred City Sacrificers, Santa Cruz Derby Girls, and Misery Loves Company at the 2017 Golden Bowl Invitational. All of their games will be live streamed on BADtv! 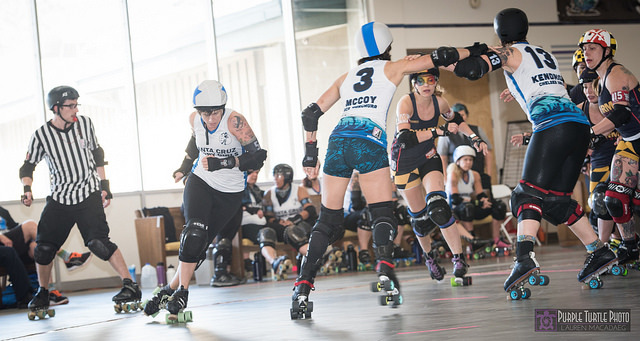 Misery Loves Company (MLC) is comprised of existing skaters from leagues all over the California Bay Area as well as high level retired skaters looking to play anyone at anytime. 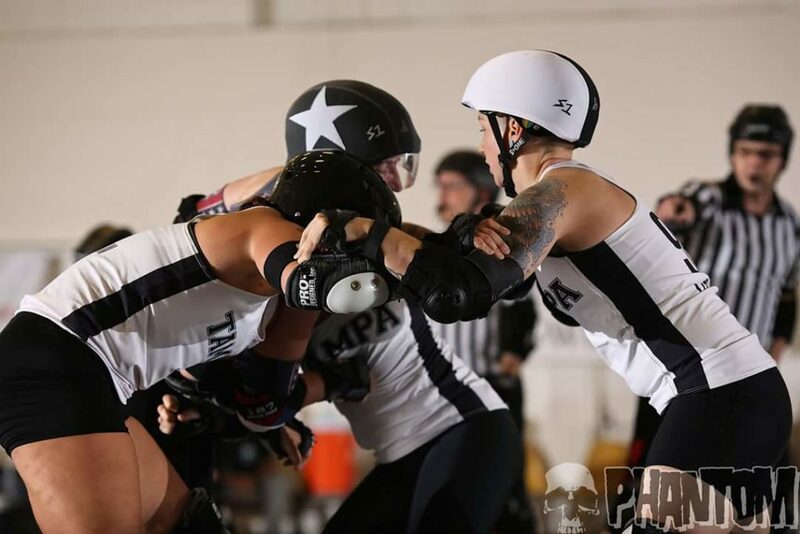 Misery Loves Company will take on the Tampa Bruise Crew in a regulation game at the 2017 Golden Bowl on Friday June 16 at 8 pm. Watch their game live on BADtv!